Although anchor kits remain optional, they can prevent damage and injuries by improving the stability of garden sheds. 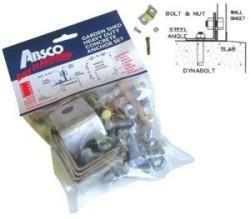 These kits consist of brackets and bolts that secure your shed to pavers or a concrete slab. This allows the building to tolerate stronger winds without tipping over. 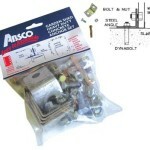 We generally recommend using anchor kits with all sheds that you place on pavers or concrete. However, anchors become more important in certain situations. Secure any garden shed that regularly faces high winds or sits on a slanted surface. The same goes for outbuildings in large clearings, such as fields and parking areas. You should also check local building codes to determine if they require shed anchors. Generally, it’s worth spending the extra money to protect your investment and enhance safety. When browsing our garden sheds, please be sure to check the accessory section for compatible kits. This entry was posted by GardenShed.com in Garden Shed. ← What is a Zincalume Shed?